Product categories of Small Cage Trap, we are specialized manufacturers from China, Small Cage Trap, Metal Rat Trap Cage suppliers/factory, wholesale high-quality products of Humane Small Animal Traps R & D and manufacturing, we have the perfect after-sales service and technical support. Look forward to your cooperation! Small animals are sensitive and smart, and those trapping experience will somehow be exhausted and annoying. 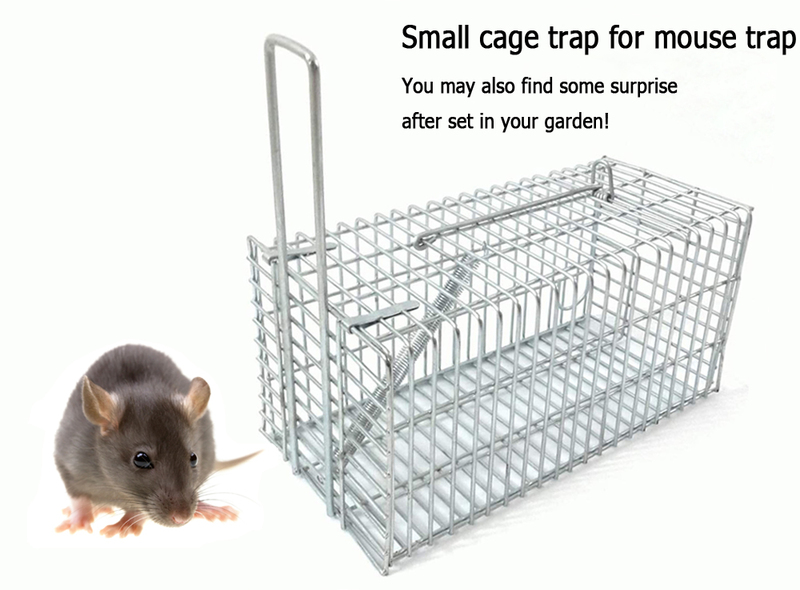 A Small Cage Trap is designed primarily to catch those without killing the unwanted guest. When the mouse enters the cage and bite the bait, the mechanism will activate keep mice locked in the cage. No harm and escape impossible. The animal can be transported and released elsewhere or killed.